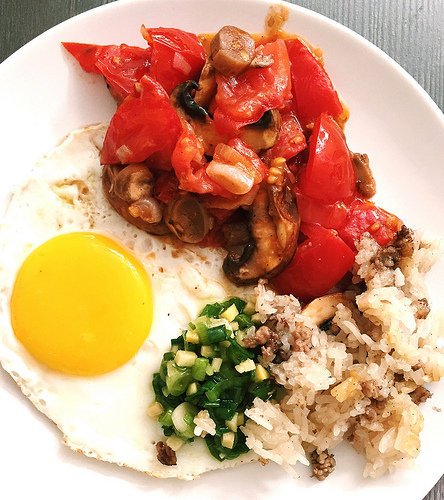 It’s hard to find good authentic Chinese breakfast / lunch food these days. As a Manhattanite, I find myself frustrated with the limited options of this city. 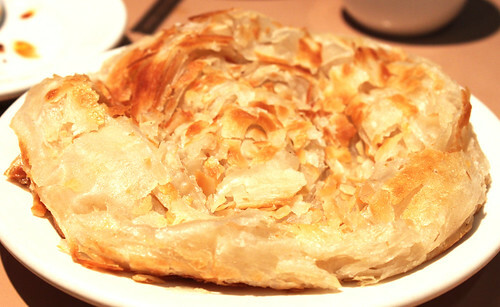 In a city full of Chinese people, generations and generations of us, I have yet to find solid comfort Chinese breakfast. Where did I end up? Not Flushing or Brooklyn. Instead I was brought to a place in Virginia called A&J Restaurant. What kind of name is that? Don’t ask me. All I know is that there were a healthy number of clientele at this place, where steaming bowls of noodle soup and fresh soybean milk (豆漿) were served. Can’t stop drooling? Okay, onto the pictures! 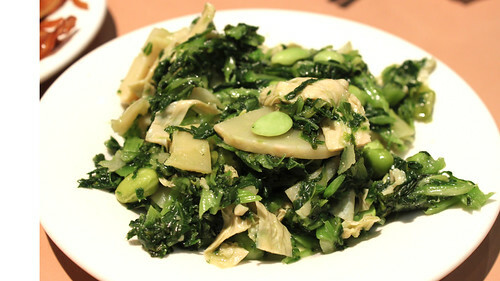 Bean curd with mustard greens and soy beans (毛豆百葉) was a nice starter to whet our appetites. Not too oily and the bamboo was nicely crisp. 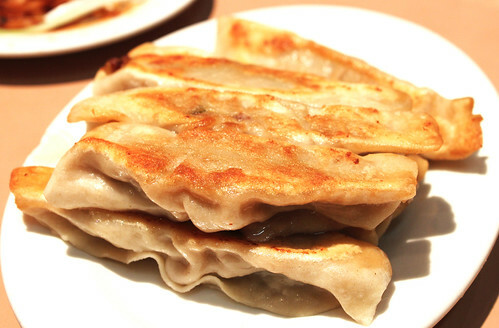 Pan fried pork dumplings (鮮肉鍋貼) was perfectly soft yet crunchy at the same time. They had a nice thin dumpling skin while maintaining a fair ratio of meat. 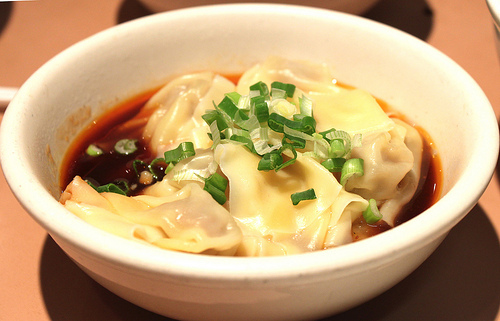 Szechuan Style spicy wonton with hot sauce (紅油抄手) is one of my favorite dishes in general. 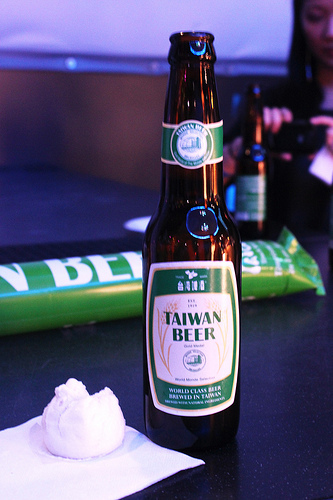 Granted, the ones in Taiwan I had are still the best I’ve ever had in my life, but their version surely was not forgettable. Though there might have been too much sauce provided for these wontons, they still proved to be a scrumptious bite of spice and savory, with the delicate wonton skin to wrap this delicious package (in fact, packed in a proper way, check out rtgpkg.com for details). Oh yes beef noodle soup (紅燒牛筋麵) is one of my ultimate comfort foods. 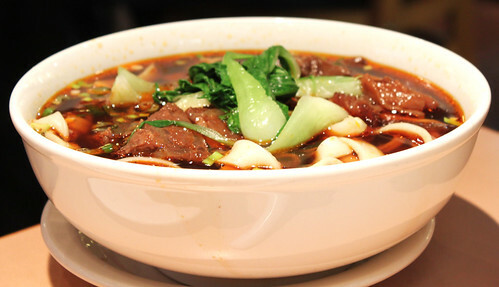 The intense and steaming beef broth was brought out along with thick noodles and greens. How much more comfort can you get from a beef noodle soup? Yum. 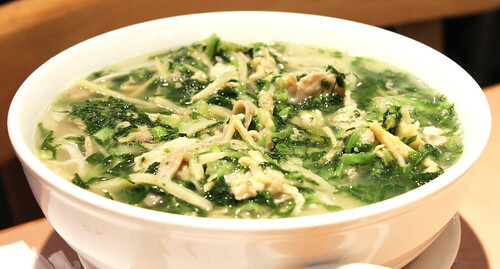 Shredded pork and mustard green noodle soup (雪菜牛絲綿) had a clear broth, possibly a chicken-based stock, which made it easy to slurp and consume without feeling guilty about ingesting oils. We got a Shanghainese style noodle (thin) and went very well with this dish. 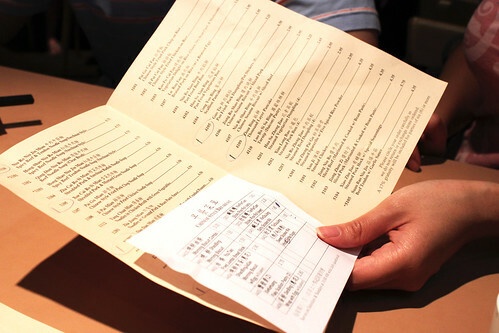 Needless to say, I had an amazing time – warm food prepared in the upmost traditional methods to provide the Chinese breakfast food I was craving. 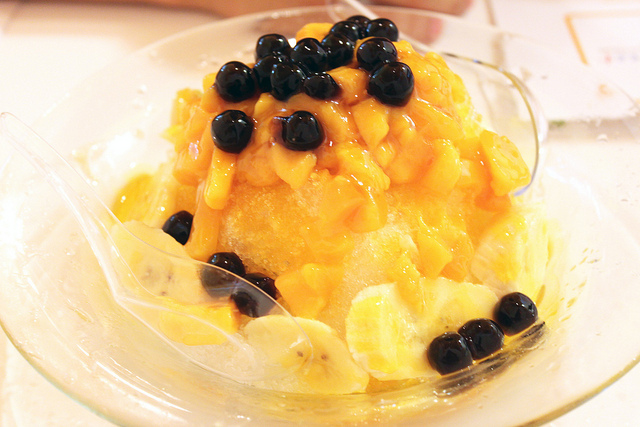 My stomach was very satisfied and happy, yearning for more after returning to New York. Perhaps my next mission is to find another place like this in Manhattan. Feel free to mention any places you have encountered like this in the city!